On Apr 9, 2017, at noon, the "Iapetos" was in allision with the "MSC Donata" in the port of Thessaloniki during berthing operations at the dock no. 6. 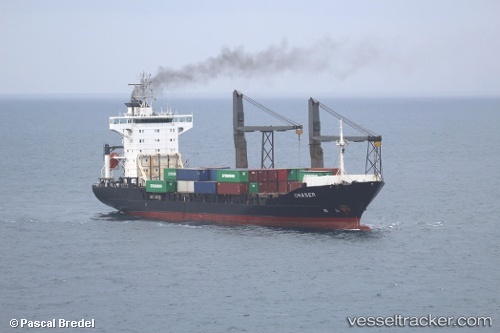 SHe was coming from Heraklion with a crew of 16 and a cargo of containers on board. She bumped into the "MSC Donata" which was berthed at the quay, causing slight damage to both ships. No injuries nor marine pollution were reported. After the incident both ships were banned from sailing until surveys by the classification societies had been completed. The "MSC Donata" left the port again, bound to Izmir, on Apr 10 at 1 a.m., while the "Iapetos" was still docked at the Thessaloniki Port Authority Container Terminal.